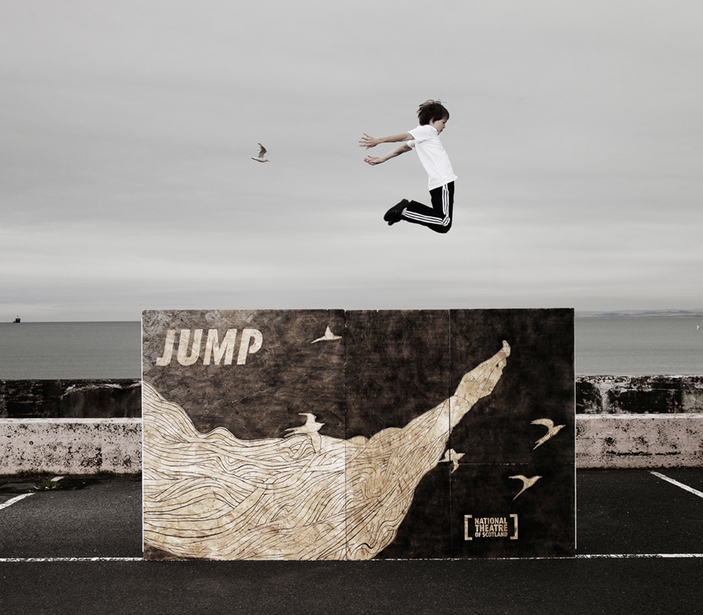 The culmination of a 10 month project involving over 1000 Scottish secondary school boys from Glasgow and Fife, JUMP is a freshly devised theatrical production. The two productions (Glasgow and Fife) fuse creative writing, autobiographical storytelling through music and urban prose, physical theatre and the movement discipline of parkour, to explore the obstacles on the journey from boyhood to manhood. You can experience this exhilerating production at Platform, Glasgow 22nd-23rd November (Glasgow boys) and Rothes Halls, Fife 28th-29th November (Fife boys). Find out more by watching the trailer here or visit the website for more details.